A quick sketch from the car once again on another snowing day in New England. 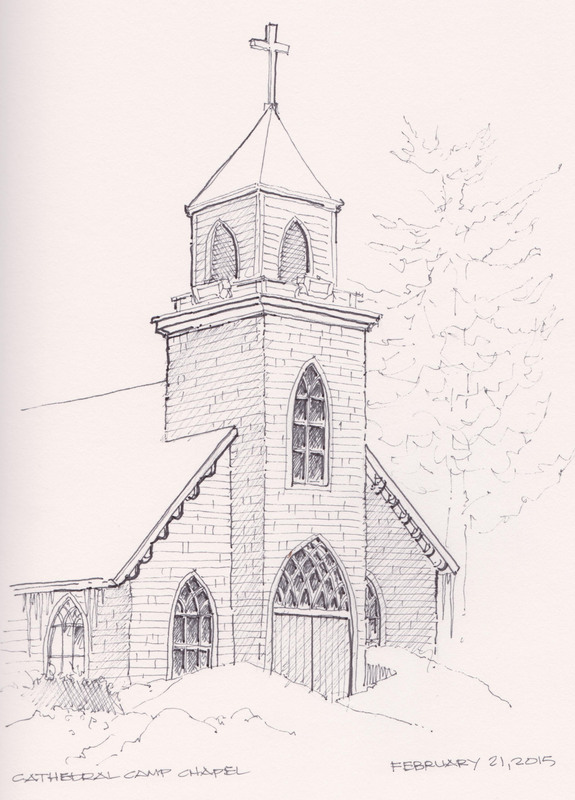 This is a pen and ink sketch of the Assumption Chapel at the Cathedral Camp in East Freetown, MA. As a ministry of the Fall River Roman Catholic Diocese, Cathedral Camp strives to create an atmosphere in which Christian values are modeled by the way we treat one another and the environment in our everyday activities. Pigma Micron pens in an Alpha Series Stillman and Birn Sketchbook. It is amazing how aware you become of your surroundings when you are looking everywhere for visual interest for a sketch or painting. 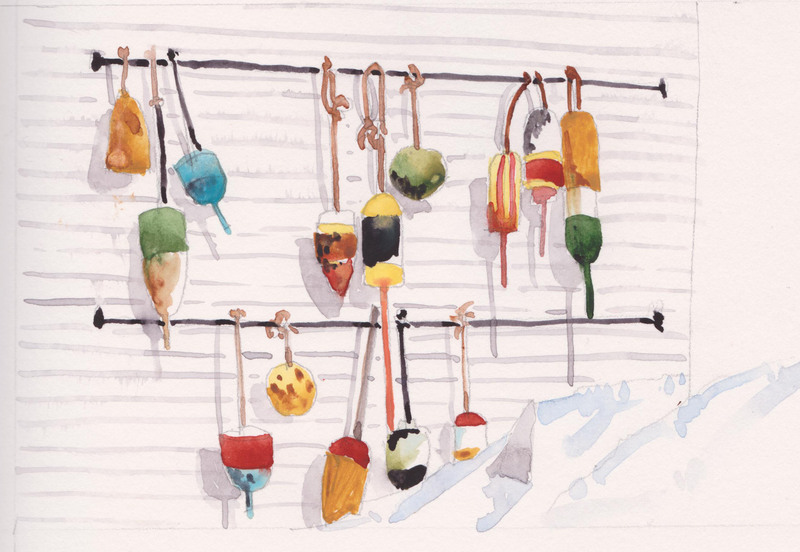 These Lobster Buoys were hung a wall adjacent to the Blue Eyed Crab Restaurant in Plymouth, MA. “The world is your lobster!” ― Arthur Daley. 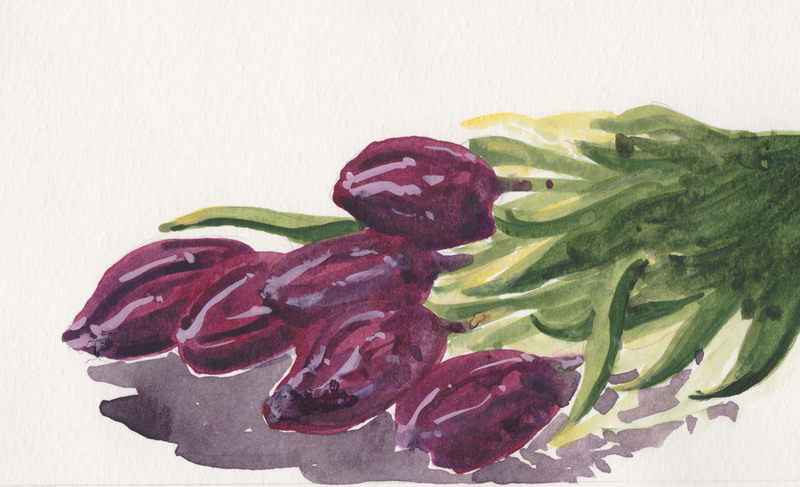 It is our favorite restaurant and I have never noticed these before, Daniel Smith Watercolors in an Alpha Series Stillman and Birn Sketchbook. A quick value study for a possible watercolor painting at a later date. This is from a photo taken during a much warmer time of the year. The view is of an old fishing shack on Rocky Neck in Gloucester, MA looking towards Smith Cove. Koh-I-noor woodless grafite pencil in an Alpha Series Stillman and Birn Sketchbook. Saquatucket Harbor is one of three harbors located in Harwich, MA on the southern side of Cape Cod. 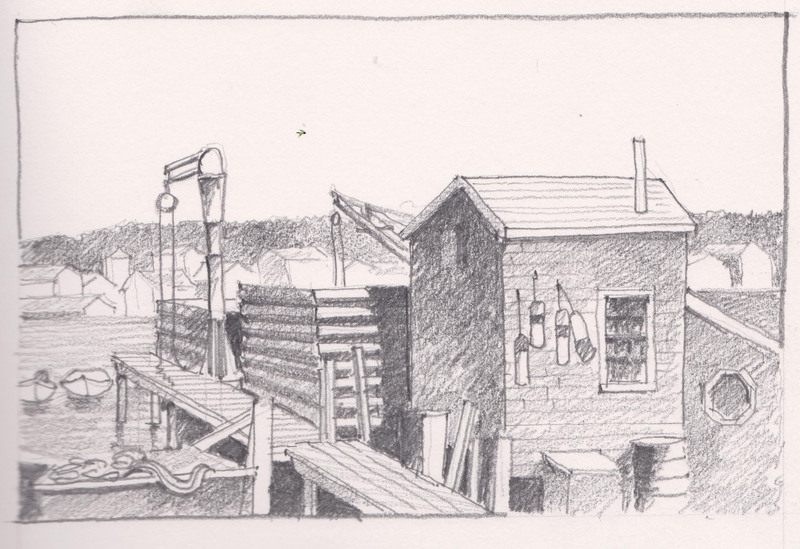 Historically, Harwich has been a fishing hub on the cape. Even though the day was sunny after the storm, at 16 degrees in the winter, everything takes on a gray hue with the exception of a sliver of orange as part of the sunset. Pigma Micron pens, Daniel Smith watercolors, Stillman and Birn Alpha Series Sketchbook. A day trip to Cape Cod today after the blizzard of yesterday left over 20″ of snow. This sketch was done in the car parked across the street from the building. 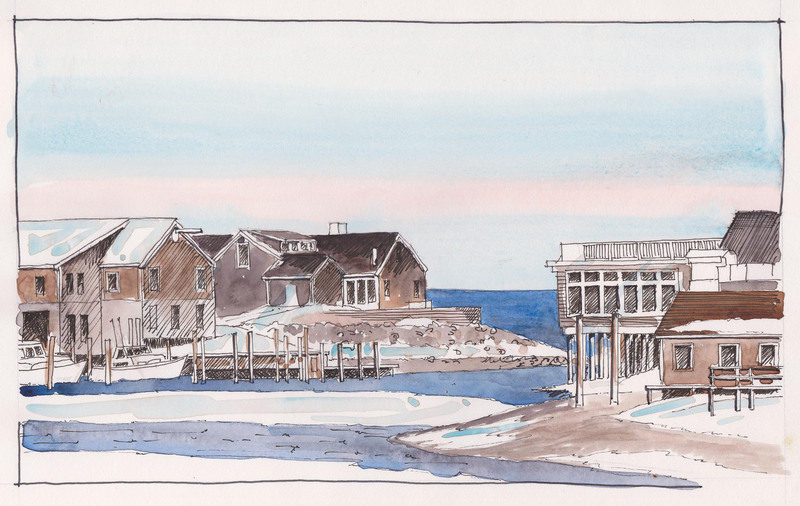 You sketch where you can in mid-winter in New England at 16 degrees and high winds. 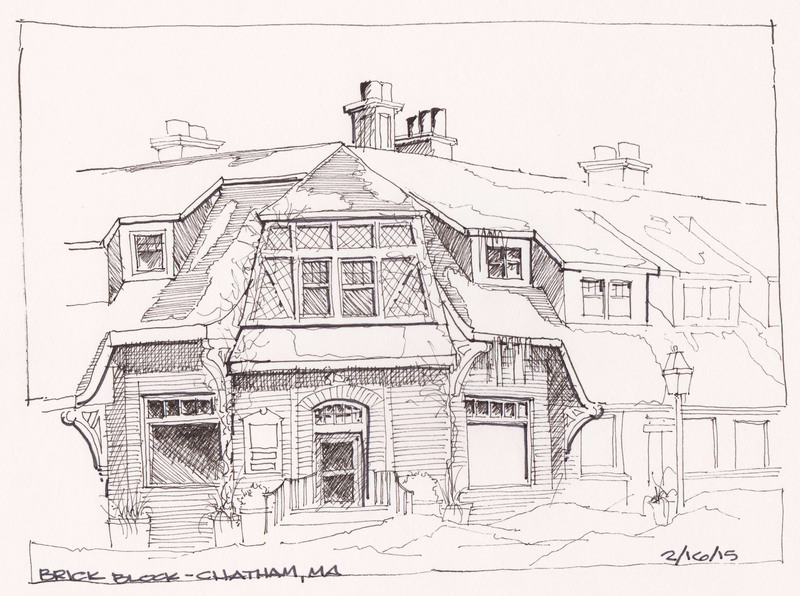 The Brick Block is a historic commercial building on Main Street and Chatham Bars Road in Chatham, Massachusetts. The 1-1/2 story English Revival structure was built in 1914 by Joseph Nickerson, a master mason, to a design by architect Harvey Bailey Alden. It originally housed shops on the first floor and residences on the upper floor. The block was listed on the National Register of Historic Places in 1979. Pigma Micron pens in an Alpha Series Stillman and Birn sketchbook. After another 20+ inches of snow. I needed to paint something with some color. Everything is white and gray outside. 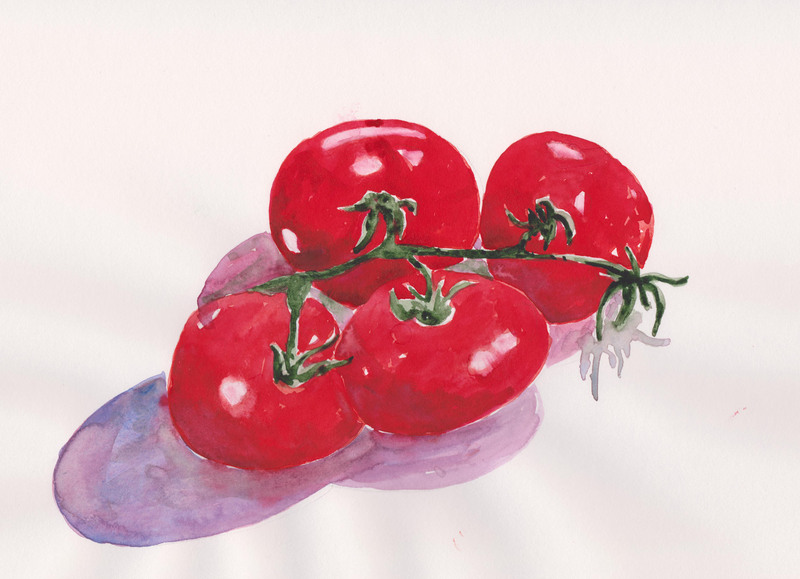 Cluster Tomatoes painted with Daniel Smith watercolors in an Alpha Series Stillman and Birn Sketchbook.